Choosing Best Shampoo for hair growth is the inevitable thing today. Because One of the most embarrassing physical conditions that both men and women face in the modern age is that of hair loss. Hair loss can be a temporary condition or permanent and it can be partial in nature or complete. In order to fight the condition of hair loss in men and women, a variety of medications and treatment plans are being recommended. Is Hair Growth Possible using Hair Growth Shampoos? Yes. Hair growth is possible thanks to advancement of technology! Whether you are suffering from a male pattern baldness or female pattern hair loss, there are several solutions available that not only prevent further hair loss but also aid in slow but steady hair growth. The only way hair growth is possible is by strengthening the scalp and hair follicles. The hair follicle is basically an organ that is responsible for producing hair. In reality, it is the shape of a hair follicle that determines the texture and shape of human hair. Hence, it is extremely important to ensure that the hair root is in good condition as it will enable hair follicle to grow hairs. The hair root comprises of three sections, which are hair bulb, hair matrix, and hair papilla. When the hair follicle or root is weakened, the natural symptom is hair fall. How can you strengthen hair follicle or hair root? This is where it becomes necessary to choose the best shampoo for hair growth. There are a wide variety of shampoos available but they might not always work wonders for your hair. We have conducted an in-depth research to create a list of 14 best shampoos for hair growth. If you're a first-time buyer or not sure about what shampoo is good for hair growth then the below list of 14 best shampoos for hair growth will help you to pick the right shampoo. Talk about hair growth and the first thing that comes to the mind is to try the vast array of natural or essential oils. Yes, it pays to go natural because natural is healthy! This is exactly the reason why Argan Oil Shampoo Restorative is on the top of our best shampoos for hair growth. 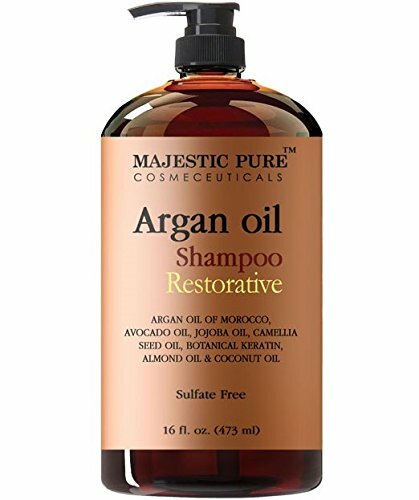 This 100% pure and natural shampoo has been made using Moroccan Argan oil. Why Moroccan? This is because the Argan tree is found only in Morocco and Argan oil is produced using the kernels of the tree. It is the fruit of the Argan tree that contains a hard-shelled nut and this nut contains the kernels used for producing oil. In order to produce oil, the kernels have to be roasted and then cooled down. Argan oil contains phenols, vitamin E in the form of tocopherols, squalene, carotenes, and 80% unsaturated fatty acids. It has been used by Moroccan's for ages as cosmetic oil as it is good for the skin and hair. 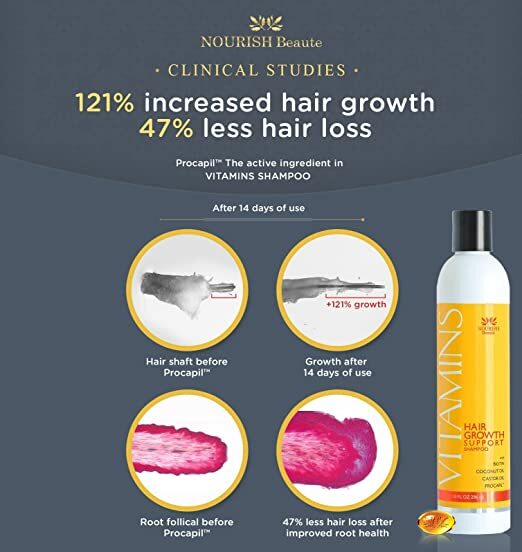 This is an extraordinary product from Nourish Beaute that has been specifically created not only to prevent hair fall or loss but to enhance hair growth as well. 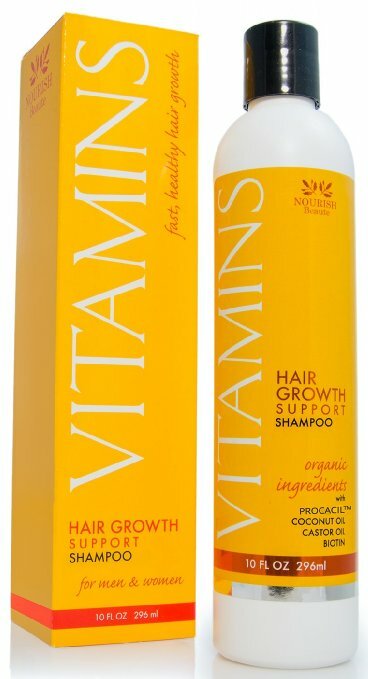 The primary ingredient in the Vitamins Shampoo for hair growth by Nourish Beaute is Procapil. 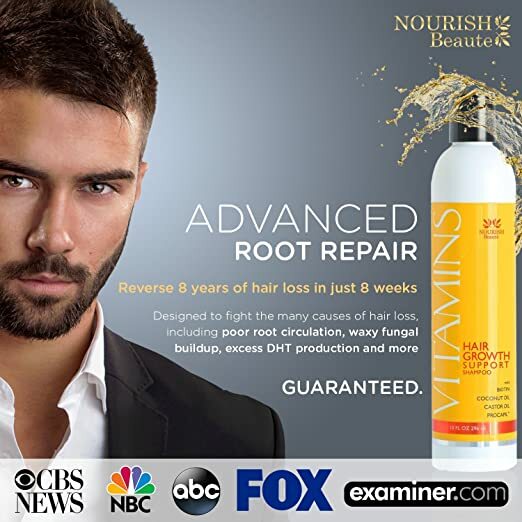 It is basically a breakthrough formula that not only prevents natural hair loss but also strengthens hair root and follicles so that men and women can experience hair growth. The only best natural hair loss treatment shampoo for men and women clinically proven to get results. Made with Procapil, a patented formula found to grow hair by 121% and stop hair loss by 47%, plus organic castor oil, coconut oil, and more. Doctor recommended for anti hair loss shampoo alopecia. Procapil helps in providing a solution for the hair follicle natural ageing process. It also targets the main cause of alopecia and that is DHT or Dihydrotestosterone. DHT is considered as one of the key players in hair loss experienced by both men and women across the world. ​Nourish Beaute's vitamins shampoo is one of the Best hair growth shampoo for those who are in the early and middle stage of hair fall. How does procapil enhance hair growth? It works in combination of three different natural ingredients and they are biotinyl-GHK, oleanic acid derived from olive tree, and flavonoid derived from citrus. Daily usage of this shampoo enables hair to remain in the Anagen development stage also known as the hair growth stage. 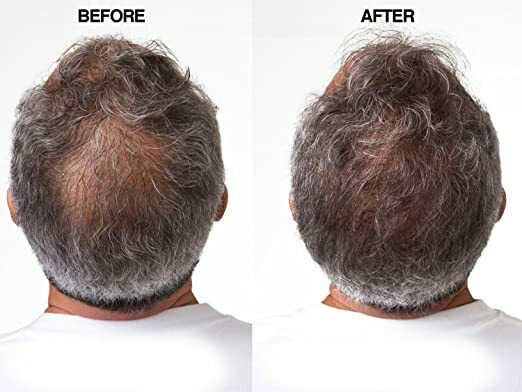 Vitamin hair restoration treatment increased hair growth by 121% and reduced hair loss by 47%. The formula 500 hair regeneration system is a scientific breakthrough that has been created after hundreds of hours of scientific research and experimentation. This hair regeneration system works in two stages and has been created using some of the highest quality ingredients in a facility that is Good Manufacturing Processes (GMP) compliant. The reason why it is being considered as one of the best shampoos for hair growth is because considerable clinical studies have gone behind evaluating its effect on scalp and hair restoration prior to the product being launched. The formula 500 hair regeneration system is a state of the art hair rejuvenation product created by the Phoenix Rejuvenation Institute. At the heart of this hair regeneration system are three different ingredients that can be considered as the ones responsible for hair growth and protection from hair loss. The three ingredients are completely natural and have been combined using a unique blend of herbal tincture. The ingredients are Mangifera Indica (Mango) seed butter, Serenoa Serrulata (Saw Palmetto Berry), and a provitamin called dl Panthenol. Serenoa Serrulata has been used in herbal medicine to treat baldness or Alopecia. Research studies also indicate that Saw Palmetto Berry not only aids in preventing hair loss but also triggers potentially healthy hair growth. Panthenol is considered a provitamin of B5 and is a common component in hair growth shampoos. It binds easily with water molecules and ensures proper moisturization of scalp. Formula 500 is the best shampoo for hair loss providing breakthrough Hair Regeneration System with the help of advanced therapy for thin hair, receding hair line and hair loss. Provides a Breakthrough Hair Regeneration System. Works as an Advanced Therapy for thin hair, receding hair line and hair loss. Nothing works great for hair than something that is completely natural or herbal in nature! The Hair Growth Botanical Renovation is a stimulating shampoo that is available with several herbal combinations or blends including Cayenne/Saw Palmetto, Turmeric/Copaiba, Lemongrass/Rosemary, and Clove Leaf/Moringa among others. Among these blends, the Cayenne/Saw Palmetto botanical shampoo focuses on fighting hair loss and promoting hair growth. The hair growth botanical renovation shampoo has been created focusing on the anatomy of human hair. The primary ingredients are cayenne and Saw Palmetto Oil, which have been blended together in such a way that they are considered as the perfect hair growth solution. Saw palmetto is known to be used for treatment of people suffering from hair loss. It is a plant and the ripe fruit of this plant is used primarily for making extract or oil to aid in various treatments including hair loss. The other ingredient is cayenne pepper also known as the red hot chili pepper and it contains vitamin A, B6, E, C, potassium, riboflavin, and manganese. It contains high amount of capsaicin and aids in the treatment of Alopecia. Cayenne pepper plays an important role in strengthening of hair follicles and elimination of seborrhea and dandruff. Saw palmetto extract is most commonly used as it has the ability to modulate hormonal balance, which in-turn can prevent as well as treat hair loss. Apart from the active ingredients, the hair growth botanical renovation shampoo also contains other natural ingredients including Aloe leaf juice, ginseng root extract, sage leaf extract, lemon peel extract, Eucalyptus essential oil, lauramide MEA, citric acid, and Peppermint essential oil among others. Hair growth botanical renovation shampoos is one of the best hair loss shampoo that provides powerful hair loss protection and fights DHT. Contains fatty acids, omega-3 oils and vitamins. Helps to reduce hair-loss caused by DHT. Totally 12 Bio active ingredients in this hair fall treatment shampoo. It comes with a unique scalp stimulating formula that moisturizes the scalp and improves circulation for better hair growth. It is a natural Dihydrotestosterone (DHT) blocker. DHT is considered one of the main culprits causing hair loss in men and women. Research studies have shown that it has the ability to reduce hair loss by almost 50% if used regularly. Rich in fatty acids, omega-3 oils and vitamins. DermaChange hair growth shampoo is a completely organic product that is meant to work towards restoring natural fullness and beauty to your hair. This is exactly the reason why it is on our best shampoo for hair growth list. One of the primary ingredients of the DermaChange hair growth shampoo is coconut oil. This oil has been used for time immemorial towards hair maintenance and growth as it has several hair benefits. The question is what makes coconut oil such an important ingredient? Coconut oil is derived from coconut and is extremely rich in antioxidants. The oil comprises of antifungal, antiviral, and antibacterial properties, which ensures your scalp is free from dandruff and other hair issues. It not only invigorates the scalp but also the hair follicles, which are responsible for hair growth. The most important aspect of coconut oil is that it offers multi-faceted benefits. It helps in improving the overall health of your scalp, aids in fighting fungal and other infections that can lead to hair thinning, supports good hair growth, and also adds shine and volume to hair without harmful them. DeramaChange is a best hair regrowth shampoo that can be used for these problems such as thinning hair, hair loss, preventing hair loss, thickening up hair and adding strength. It can also be used to for oily hair or dry hair.Since it does not contain sulfate so has less lather than your normal shampoo which is great to maintain your hair's natural oils and proteins. This shampoo helps in restoring natural moisture in the hair and thus treats split ends effectively. No Sulfates, perfumes, no SLS, no fragrance, no parabens, gluten free, and allergy free. 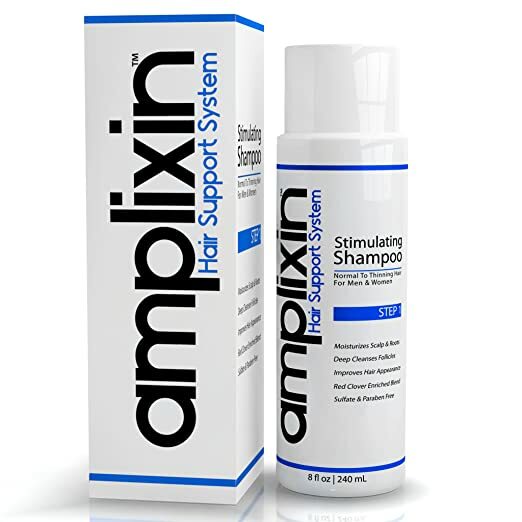 The Amplixin hair support system is a stimulating shampoo that has been created specifically for hair growth and to moisturize the scalp and hair roots. Amplixin Shampoo is the best shampoo for hair loss and pattern baldness. It contains Unique formula infused with Ampligro Complex containing caffeine, peptides and red clover creates a complete nutrient delivery system to encourage stronger roots and promote new, healthy hair growth. The reason why it is on our best shampoo for hair growth list is because it offers a variety of benefits. The most important organic ingredient that makes this shampoo one of the best out there for hair growth is Salvia Officinalis (SAGE). Sage also known as common sage is an evergreen subshrub that is a native of the Mediterranean region. This herb exists in the amplixin hair shampoo in the form of leaf extract. Sage leaf extract is known to have several benefits for hair as well. It helps in combating hair loss and baldness, which is primarily because it contains a 5-alpha reductase compound known as beta-sitosterol. The other benefits of sage for hair include darkening and intensifying hair color and imparting luster. Sage also plays a key role in improving circulation to the scalp and this in long-term encourages hair growth. It will not only stimulate your hair follicles but also ensure your hair is shinier, thicker, and stronger. Amplixin hair support system is replete with a variety of natural oils that gently cleanse scalp and hair and help in removal of follicle-clogging dirt as well as environmental pollutants. It contains a beneficial combination of Red Clover, Acetyl-Tetrapeptide-3, and Caffeine, which help in providing thick and dense hair. 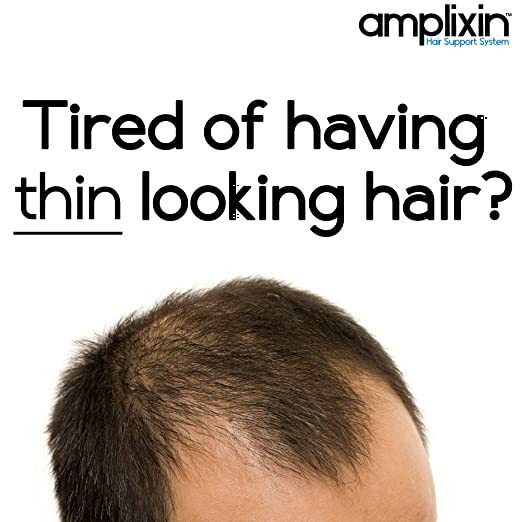 The organic ingredients in amplixin hair support system also help in suppressing the production of dihydrotestosterone (DHT), which is most commonly responsible for hair loss. 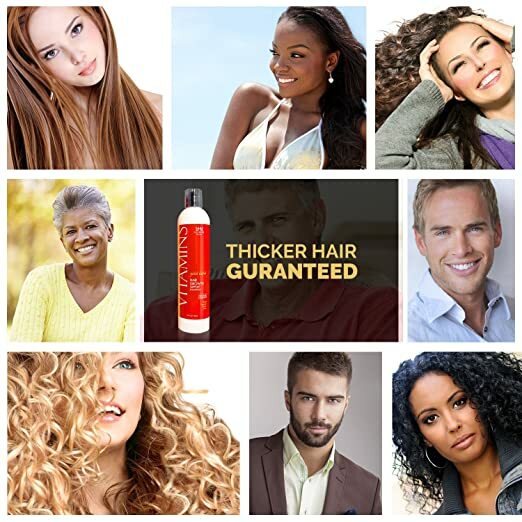 Safe for all hair types including color treated hair. Prvoides Treatment against Dry, Itchy ScalpDoctor approved & trusted hair growth shampoo for hair loss, baldness and receding hairline. Contains Red Clover, Acetyl-Tetrapeptide-3 and Caffeine stimulate the scalp to slow down hair loss and block negative effects of DHT. Talk about shampoos containing essential ingredients for hair growth and maintenance and you just can't do without the Nourish Beaute vitamins shampoo. This is one hair growth shampoo that had to be on our best shampoo for hair growth list. The most important natural ingredient that makes this shampoo one of the best hair regrowth shampoo out there is Biotin. What is biotin? Biotin is basically Vitamin B7 and it is often used for strengthening of hair as well as nails. It is also known as Vitamin H.
Biotin is a completely natural and essential vitamin that is freely available in a variety of food including salmon, cauliflower, bananas, carrots, yeast, soy flour, whole-grain cereals, and wheat germ among others. Biotin plays a key role in preventing hair thinning and also helps in improving hair health. It is also known to be a key factor for hair growth. This is an essential vitamin that not only nourishes hair but also strengthens hair follicles for better hair growth. The Biotin content in the shampoo makes it as the best shampoo to promote hair growth. Nourish Beaute vitamins shampoo contains essential vitamins that help in increasing micro-circulation to the hair roots or follicles and ensures delivery of nutrients and oxygen to initiate good hair growth. The shampoo contains vitamins that enable blocking of DHT, which is a type of hormone derivative that binds to the receptors within hair follicles and shrinks them and causes thinning. FDA approved and Good Manufacturing Practice (GMP) certifiedShows 168% increased regrowth and 60% less loss in clinical trials PLUS immediate improvements in luster and shine! GUARANTEED! Powered by Bicapil plus organic Pro-Botanics Complex with biotin, argan oil, castor oil, coconut oil, jojoba, caffeine, keratin and more. Contains VITAMINS Conditioner, NOURISH Hair Supplement and BURST leave-in Serum. DHT-blockers help thinning hair grow thicker, longer... fast! Laritelle organic shampoo is one of the best shampoo to grow hair that promotes healthy hair growth. This shampoo is featured on our best shampoo for hair growth list as it is enriched with a variety of ayurvedic herbs and organic products. The primary ingredient in Laritelle organic shampoo is organic lavender. Lavender oil has been in use for several centuries as it promotes healthy hair growth. It is considered as one of the best naturally available treatments for alopecia areata or spot baldness, which is an auto-immune disease. Lavender is a flowering plant that belongs to the mint family. It is used in the form of essential oil and leaf extracts for curing medical ailments, hair regeneration and growth, and also as a culinary herb. The most important aspect of lavender is that it contains antiseptic as well as anti-inflammatory properties, which not only aid in removal and prevention of fungus growth in the scalp but also cleanses and moisturizes scalp and hair follicles. Laritelle organic shampoo contains ginger, rosemary, and cloves, which help in stimulating scalp and roots and thus promotes hair growth. The shampoo contains ayurvedic herbs that are rich in anti-oxidants like bringaraj (Eclipta Alba) and amla (Phyllanthus emblica). They play an important role in rejuvenating and conditioning scalp and hair. The shampoo also contains organic clary sage, which strengthens hair cells and prevents premature hair loss. Formulated with 75% Certified Organic Ingredients & 25% Wild crafted / Naturally Derived Ingredients. 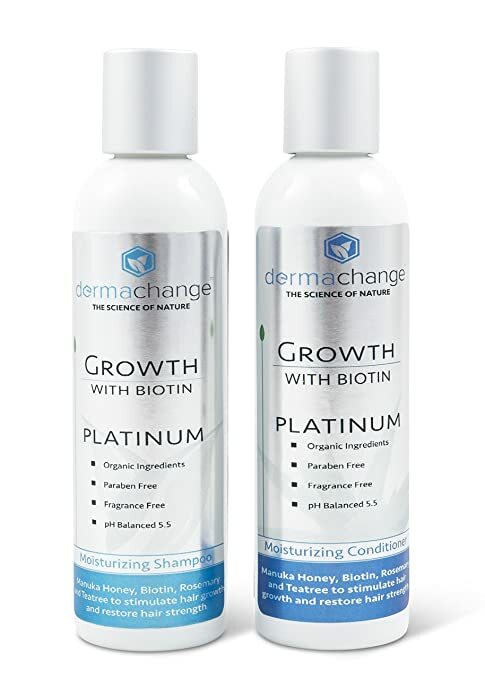 DermaChange hair growth shampoo platinum is one of the best organic products that has been created to reduce thinning of hair and support re-growth. This is exactly the reason why it is on our best shampoo for hair growth list. The primary ingredient in DermaChange hair growth shampoo platinum is Biotin also known as vitamin B7. This is a vitamin that is fundamentally available in several different food sources including green peas, avocados, green and leafy vegetables, grapefruit, almonds, sardines, eggs and dairy products. Biotin plays a key role in metabolizing proteins, fats, carbohydrates, and enzymes that are involved in the metabolic process of the human body. This is not all! This water soluble vitamin classified under the b-complex vitamins aids in the promotion of healthy growth of hair and nails. Vitamin B7 or Biotin also plays a key role in preventing hair loss caused by pattern baldness in men and women. 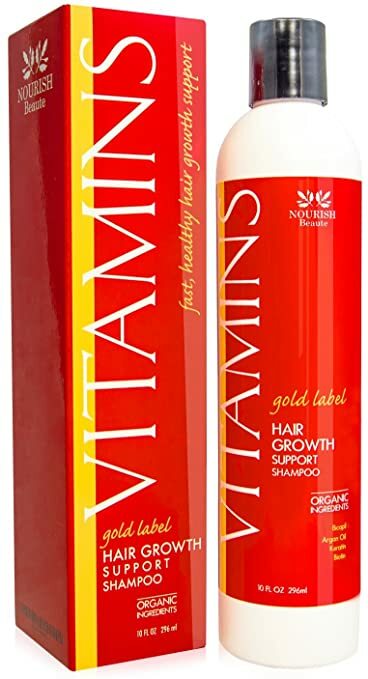 Lack of this vitamin causes thinning of hair and makes them brittle and hence when you use this shampoo, biotin will ensure your hair is strong as ever! 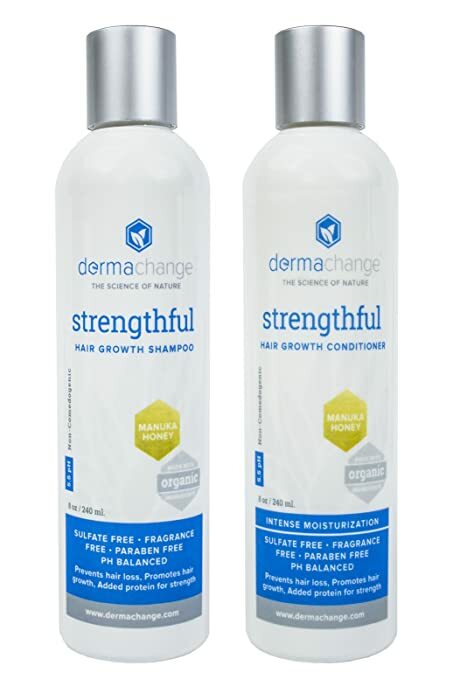 DermaChange is one of best hair growth shampoo and conditioner that comes with an affordable cost that is worth for money. DermaChange hair growth shampoo platinum contains natural ingredients that promotes thicker and fuller hair and is also responsible for rapid hair growth. The shampoo contains natural ingredients like Manuka Honey and Teatree that works towards restoring hair strength while nourishing hair follicles to enable better hair growth. DAELONG hair growth shampoo has been created specifically for those people who are searching for a non-chemical product that prevents hair fall and stimulates hair growth. This is one of the key reasons for this shampoo to be on our best shampoo for hair growth list. The primary ingredients in DAELONG hair growth shampoo are Cocamide DEA also known as cocamide diethanolamine and cocamidopropyl betaine. The name sounds like that of a chemical composition but the truth is that Cocamide DEA is a diethanolamide that has been created from the mixture of fatty acids existing in coconut oil. Cocamidopropyl betaine (CAPB) on the other hand is a pale yellow solution that is normally used as a surfactant and is also derived from coconut oil. So, in a way, both ingredients are derivatives of coconut oil. Coconut oil is considered as an elixir for hair in many countries across the world because it not only moisturizes and conditions the scalp but also the hair follicles. This results in healthy hair growth and makes hair shiny and manageable. 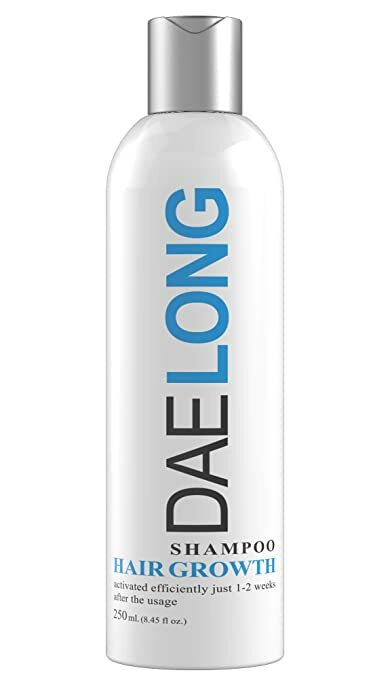 DAELONG is the best hair growing shampoo that uses the coconut oil as natural hair growth ingredient which stimulates hair growth naturally when applied to hair. DAELONG hair growth shampoo is enriched with organic or natural extracts that not only enable proper hair growth but also ensures your hair remains strong and healthy for a long period of time. The ingredients of this shampoo help in unclogging the pores, eliminates excess oil, and moisturizes the scalp and hair follicles. As the name suggests, this shampoo by LT Organics contains argan oil, which is one of the top organic ingredients for hair care and growth. It also contains several other natural ingredients and that is why it has been featured in our best shampoo for hair growth list. The primary ingredient of course is argan oil, which is a type of plant oil derived from the kernels of the argan tree (Argania spinosa L.). The argan tree is endemic to Morocco and the oil derived from it contains a high percentage of various fatty acids including oleic (42.8%) and linoleic (36.8%). 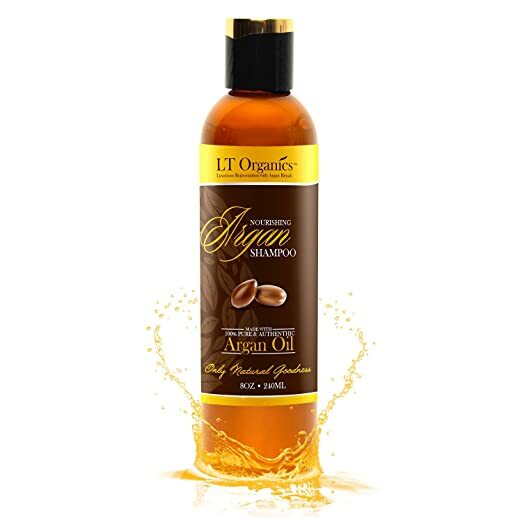 Argan oil also contains a variety of nutrients essential for hair care and growth like tocopherols (vitamin E) and phenols like caffeic acid. Argan oil not only works towards making hair stronger but is considered a highly effective moisturizing oil. This organic oil has an excellent ability to control and reduce flaking and thus takes care of dandruff problems. LT Organics argan oil shampoo contains Citrus Aurantium Dulcis (Orange) Fruit Extract and lemon extract that promote hair growth and also have anti-bacterial and anti-fungal properties. Regular use of this shampoo helps in reducing hair fall and strengthens hair from the root. F.A.S.T hair growth shampoo is a different league altogether. 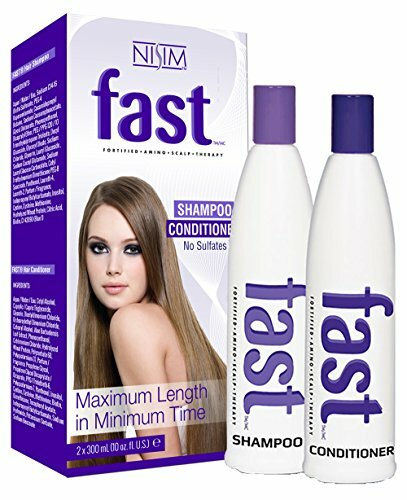 This is a hair growth product created by Nisim International, a Canadian company where F.A.S.T stands for Fortified Amino Scalp Therapy. This is the primary reason why it has been featured on our best shampoo for hair growth list. The primary ingredient of F.A.S.T hair growth shampoo is Biotin or vitamin B7. It is also known as vitamin H or vitamin B8 and it is essentially a naturally occuring vitamin. It is available in several different types of food including grapefruit, green and leafy vegetables, almonds, avocados, sardines, green peas, eggs and dairy products. Biotin plays an important role in metabolizing carbohydrates, fats, enzymes, and proteins, which are involved in the human metabolic process. Biotin is a water soluble vitamin that is often classified under the b-complex vitamins and it helps in promoting a healthy growth of hair as well as nails. Biotin or Vitamin B7 also plays a key role in initiating growth of hair. It prevents hair loss that is caused primarily by pattern baldness in both men and women. The lack of biotin often leads to hair thinning and hence it is essential that your hair and scalp get a generous amount of biotin to remain strong and smooth. F.A.S.T hair growth shampoo contains several different ingredients like Citric Acid, Cocamide DEA, and Cocamidoproply Betaine, which promotes faster hair growth. This shampoo is a complete fortified amino scalp therapy that aids in the treatment of split ends and hair thinning. Hair re-growth is not a buzzword of the future anymore thanks to products like the Beauty Facial Extreme hair re-growth shampoo. This is a revolutionary shampoo that contains ingredients for fighting a variety of hair issues including hair fall. This is reason enough to have it on our best shampoo for hair growth list. The primary ingredient of Beauty Facial Extreme hair re-growth shampoo is aloe barbadensis also known as Aloe Vera. This is a small plant that grows wild in some of the tropical regions across the world and is also cultivated specifically for medicinal or herbal use. It is a succulent plant with leaves that contain a translucent gel and this gel is made up of 96% water. The leaves are a rich source of amino acids and contain almost 18 out of 20 found in the human body. The leaves of Aloe Vera also contain Vitamin A, B, C and E and these essential nutrients are absolutely important for promoting hair growth and preventing hair loss, breakage, and split ends. Aloe leaves contain a proteolytic enzyme that promotes repair of dead skin cells present on the scalp. 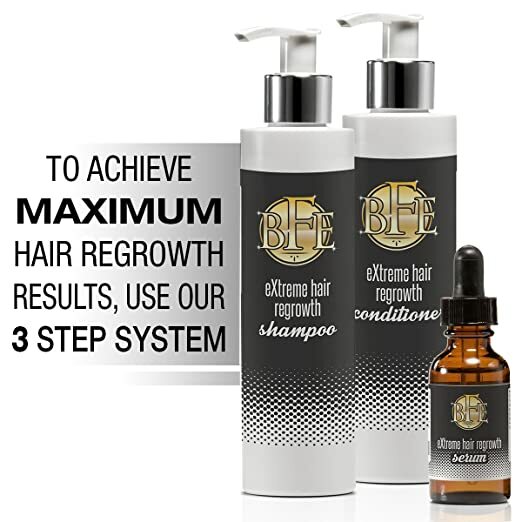 Beauty Facial Extreme hair re-growth shampoo contains essential nutrients necessary for reducing the rate of hair loss and encouraging maximum results when it comes to hair growth. It contains ingredients that are DHT blocker and thus helps in minimizing hair loss. The shampoo works towards repairing any and all damaged hair follicles and this ensures an improvement in hair thickness, density, and shine. 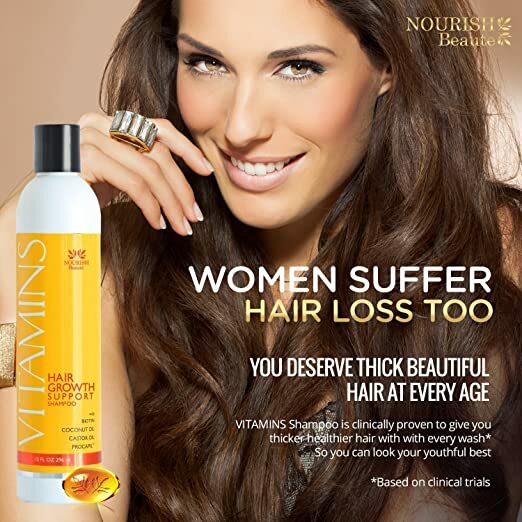 Contains necessary nutrients to reduce the hair loss rate and encourages maximum results. Clinically proven to reverse years of damage and fight the signs of hair loss. Designed as a DHT blocker, one of the leading causes for hair loss. Continued use will prevent further hair loss. Stimulates new hair regrowth for both men and women with no side effects. Most effective when combined with our Hair Regrowth Conditioner and Hair Regrowth Serum. 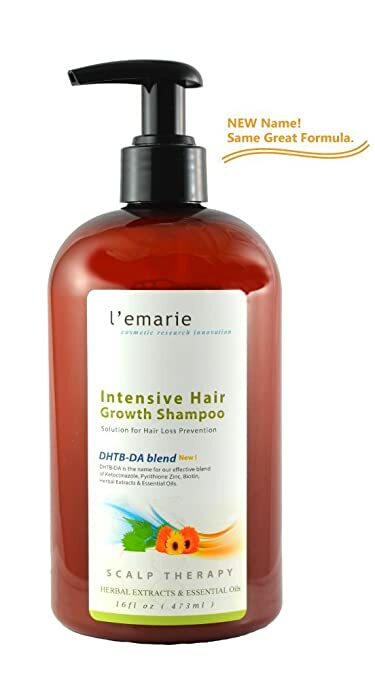 L'emarie intensive hair growth shampoo has been created using natural ingredients to support healthy hair growth. The reason why this is on our best shampoo for hair growth list is because it not only stimulates hair growth but also prevents thinning of hair. The primary ingredient in L'emarie intensive hair growth shampoo is tea tree oil. It is also known as melaleuca oil and this essential oil has a fresh camphoraceous odor. Tea tree oil is derived from the leaves of Melaleuca alternifolia tree and it is a native of Northeast coast of New South Wales and Southeast Queensland, Australia. Tea tree oil is used primarily as a herb as it is considered to be highly effective for treating a variety of dermatologic conditions like dandruff, lice, and other scalp infections. Tea tree oil is gentle for the hair and provides natural therapy when it comes to moisturizing and conditioning the scalp and hair follicles. It has strong anti-bacterial and anti-fungal properties that provide all round protection to your hair and scalp. L'emarie intensive hair growth shampoo is a balanced mix of essential oils and other ingredients that effectively promote new hair growth. The shampoo contains Ketoconazole, which helps in decreasing the production of dihydrotestosterone (DHT) and thus prevents split ends and hair loss. It plays a key role in unclogging the pores and strengthens the hair roots in order to minimize hair breakage. perfect balance between mositurized hair and effective hair growth. There are different products that have a variety of benefits when it comes to hair maintenance and care and this depends on the type of ingredient in the shampoo. These are the list of best shampoos for hair growth category. So what is the best shampoo to grow hair ? We have rated "Majestic Pure - Vitamin Enriched Hair Growth shampoo" among the best shampoos for hair growth. "Clinically proven Hair Growth Suppo﻿rt shampoo" as top rated organic shampoo for hair loss and hair growth​. Finally, we pick "extreme hair growth shampoo" as the best hair growth shampoo for men.